Gillette has sparked a lot of buzz after releasing their campaign “The best men can be”. Originally posted on the 14th of January, this video is their first step towards changing the general company policy. According to them, it will, from now on, be based on changing settled behavior pattern that could cause unacceptable social behavior. Both criticism and praise are coming from everywhere. 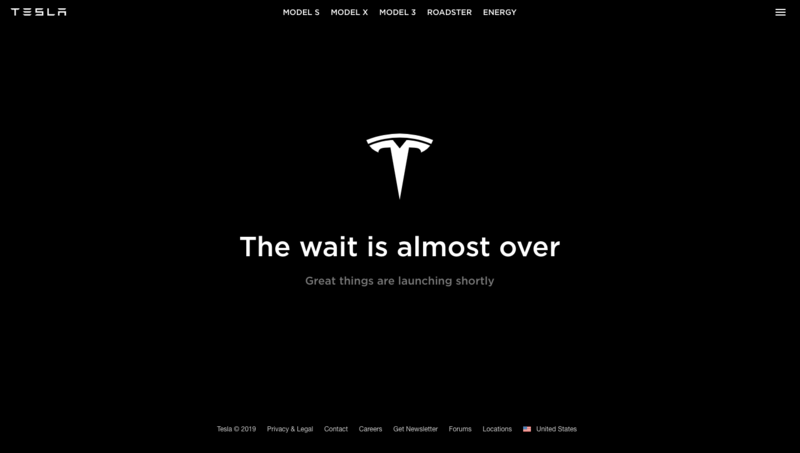 Newspapers, blogs, and mostly social networks are talking about it. The popularity of the video is best described by the fact that Gillette’s commercial has more than 15,8 million views in just 3 days. Although, popularity doesn’t also mean acceptance. The number of dislikes, currently at 784 000, is constantly growing. On the other hand, the number of likes is currently at 381 000 and counting. 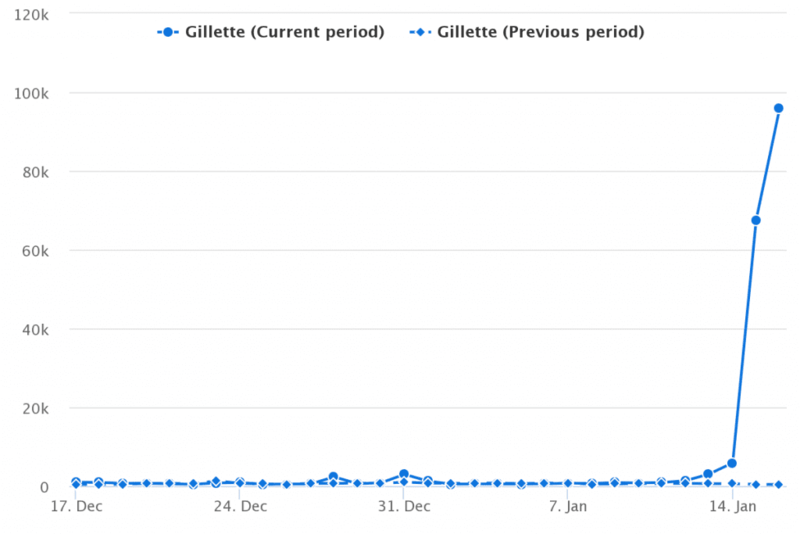 We used our tool to track and analyze the volume of mentions and conversations about Gillette as a company and about the commercial itself. As expected, Mediatoolkit analysis shows that the number of mentions of Gillette online, be it web, blogs or social media, has spiked enormously after releasing the commercial. 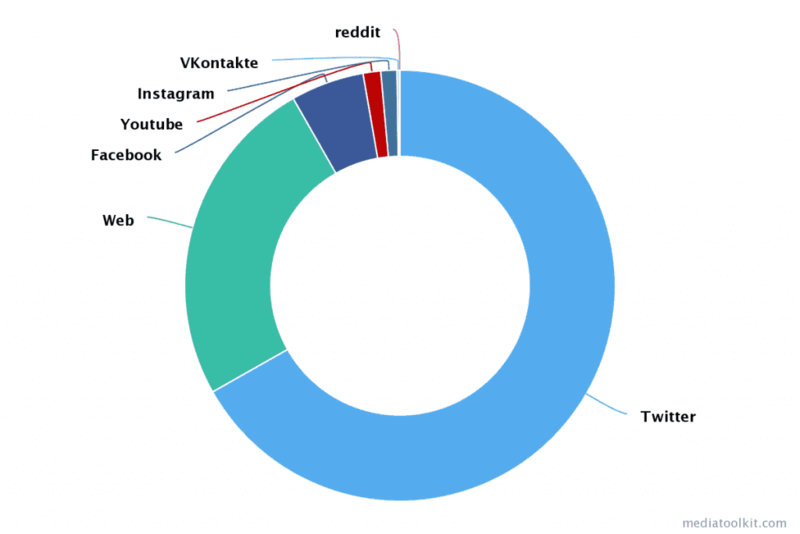 For example, during the last month, Gillette has been mentioned more than 220 000 times and 196 566 of those mentions were on 15th and 16th of January. On the contrast, a month ago, on the 16th of December 2018, it was mentioned merely 500 times. 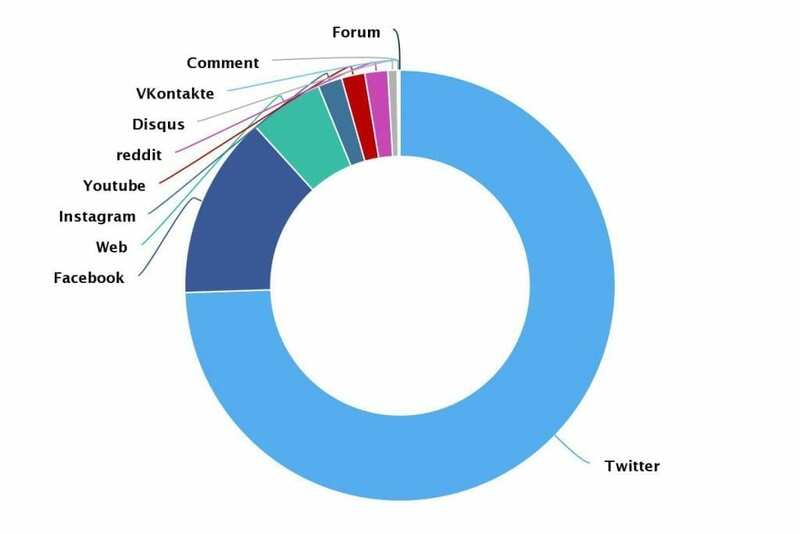 In the graph below you can see the extent of total mentions. Also, the analysis shows that people were discussing this worldwide. Mostly in the US, but also in many European countries and all the way to Australia. As you can see in the graph 2., Twitter was by far the main battleground. Almost 75% of mentions were posted on Twitter, while Facebook came second with 13.8% of mentions. Gillette’s attempt to transition from its longtime message “The best man can get” to “The best men can be” has obviously struck a nerve of many people. As in all cases of campaigns that reflect on sensitive contemporary subjects, this one also caused an avalanche of reactions from all sides and divided the Internet. It’s not the first time Procter&Gamble tried to put the tricky topic of what defines men and women in the limelight. #LikeaGirl campaign is just one in an array of examples. 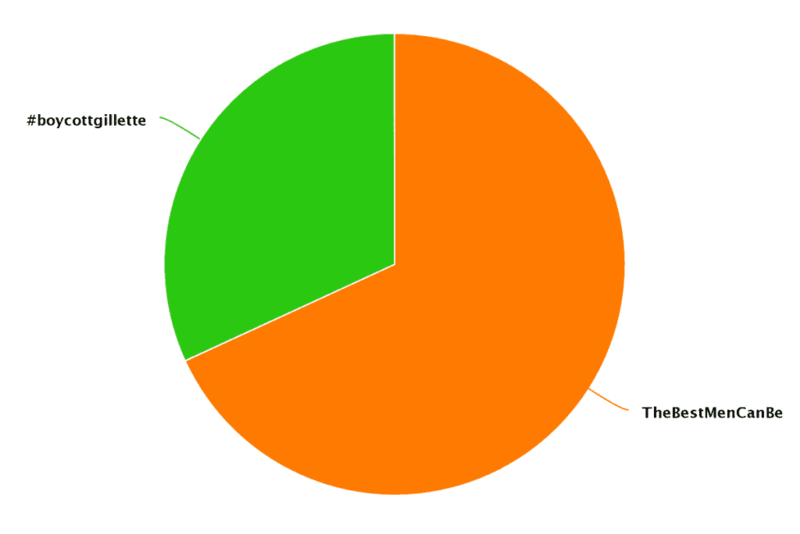 In the graph below, we compared the performance of two hashtags with our competitive analysis. It shows how the number of mentions for the term ‘The Best Men Can Be compares to the hashtag #boycottgillette. Sometimes brands can get the impression that their messaging is not performing well because the negative opinions usually get more coverage. 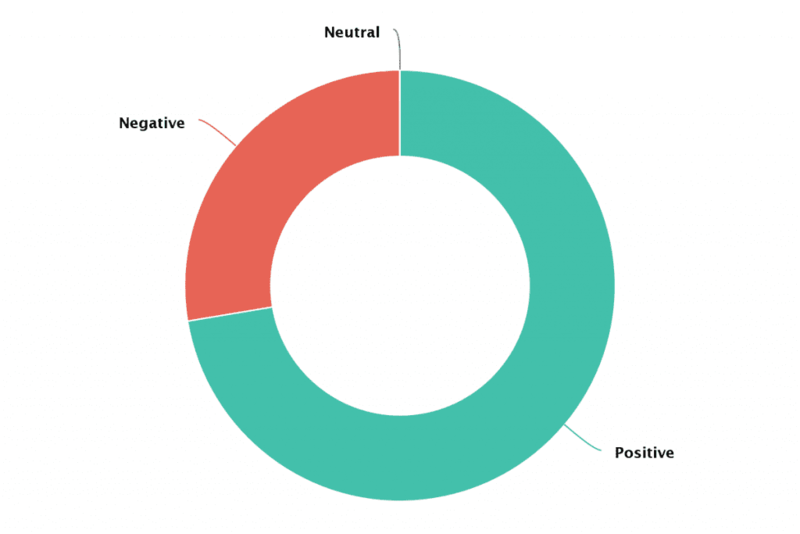 Our analysis clearly shows that the number of those with negative opinions about the campaign, inviting people to boycott the brand, is still half the number of those who speak of the campaign positively. The same can be seen from the sentiment analysis. 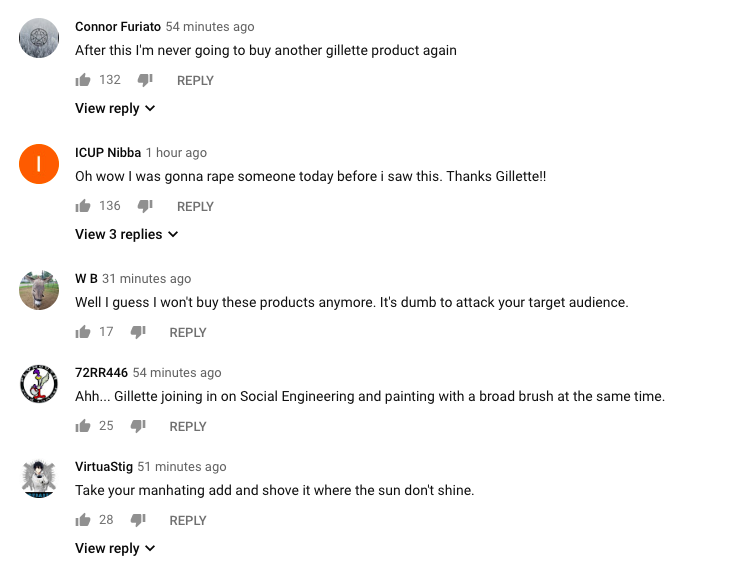 Despite the series of negative reactions, the majority of shares and comments is positive and even go to the extent of thanking Gillette for talking about such a topic. Negative comments, on the other hand, are mainly calling the ad anti-male propaganda. Interestingly, the greatest amount of reactions currently doesn’t contain the official hashtag, only the #Gillette. The analysis was made on the representative sample. Twitter users’ support is also painted by the fact that the most retweeted post is the one in which Gillette originally announced the campaign itself. Big media outlets also affected the virality of the message. The New York Times, The Guardian and BBC reported the news about the commercial which resulted in bigger audience reach than the rest of the media. Coverage paid off for the media as well, the article from The Guardian on social media got almost 135 000 interactions. That is 108 times more than their average. The users immediately compared the campaign message with Nike casting Colin Kaepernick for their campaign against police brutality. and some were simply funny. While this message divided the public, we are noticing the readiness from the politically motivated community to react. We can see the divide between the messages. On Twitter, they are full of support, while the ones on YouTube are mostly negative. Is the “marketing of values” worth it? With the before mentioned example of Nike in which we saw how the “marketing of values” can bring very good results, we can be sure that people in P&G are very satisfied with the campaign. Their stock value has just gone up. Be up to date, sign up for our 14-day trial!